Ortensia worked in hospitality for the past ten years. Having studied international law and French, she found a real passion for the hospitality industry where she has had the opportunity and pleasure to work in various departments, from reservations and meetings & events to revenue management and sales & marketing. During her hospitality journey, she realised the need for innovation and automation within the industry practices. Sales and inventory and revenue optimization have always and will always continue to hold a crucial role in the business strategy and growth, and being able to bridge this need with the solutions offered by IDeaS was a challenge Ortensia embraced. 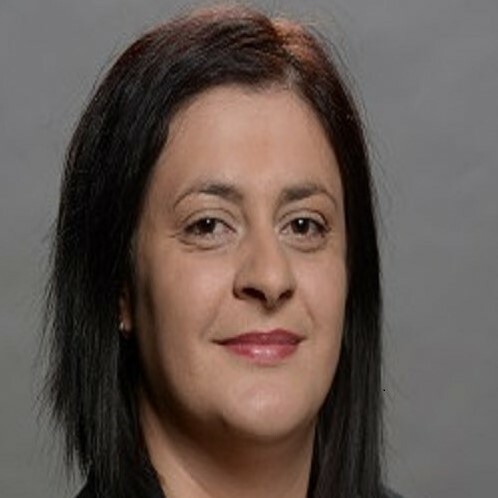 During her tenure with IDeaS she has been helping hoteliers improve their revenue management strategies and generate better controls of their business’ inventories through automation, manage advanced forecast, analyse historical data and optimize business demand with a goal of increasing revenue and profitability. Session description: Isn’t it the time to take MICE business seriously? Come and join us for an interactive workshop around meeting and events revenue management. It will be engaging, fun and full of insights on the latest M&E practices and new strategies around effectively selling your meeting space. The industry is shifting and along with it the buying process and the customer’s behaviour and expectations. Ensure you have the best in class technology to leverage in meaningful conversations with your team, buyers and stakeholders. Let us show you how you can achieve greater M&E results by being more proactive and focus on the management of your function space.